Wealthy Affiliate offers two levels of Membership. 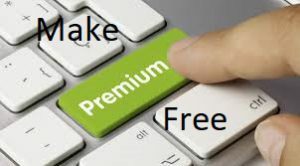 Premium and Free. Click on the image to compare the two. The Wealthy Affiliate is not new. It has been a work in progress for over 14 years now (founded in 2005) and was created by a couple of very ambitious young visionaries who met while at University in British Columbia, Canada. They became good friends and shared a lot in common as both were enrolled in the Computer Science program and both had been Affiliate Marketers selling other people’s products since around 2002. Watch the Wealthy Affiliate ‘Overview’ Video below. Wealthy Affiliate has influenced over a million lives since their beginning in 2005. Click on image to learn more about Wealthy Affiliate 1 Million plus membership. From their humble beginnings back in 2005, over 1 million members have been served through the Wealthy Affiliate Program which has now evolved to become an “Open Education” learning platform that is revolutionizing the way people learn the intricacies of the Internet and build successful businesses online. Wealthy Affiliate is not an MLM (Multi Level Marketing) program nor a “Get Rich Quick’ environment. They do however offer a one tier Direct Referral Affiliate Program that is one of the most generous in the Industry with up to 50% recurring commissions. Getting started with The Wealthy Affiliate Open Education Project is easy and is also completely free. No Credit Card or Payment Information is required. Getting yourself set-up with a ‘PayPal’ account is one good idea right from the beginning as it is a preferred method for receiving commissions, paying membership fees and renewals of domain names. You Can View The Complete Wealthy Affiliate Profile Here. Click on image to view my profile at Wealthy Affiliate University, an Open Education learning initiative. 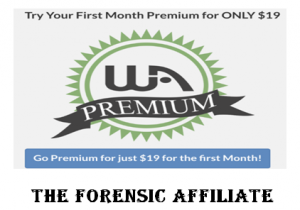 Hi, my name is Paul Mindra and I am your online host and guide here at The Forensic Affiliate. I did it for a couple of reasons. 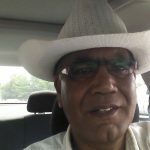 I am a former Professional Chef of almost 40 years and was forced to leave the Hospitality Industry due to issues with my health. You can read my complete Hospitality Journey HERE. So reason number one was for Educational Purposes to keep my mind busy and reason number two was to satisfy my interest in Internet Marketing. I wanted to learn first hand if an average person like myself without any Internet Experience could in fact start a successful business online. One that would stand the test of time and help me financially as I enter into the final years of my life here on Mother Earth. When I first arrived here at Wealthy Affiliate, I was expecting a glossed over or watered down version of a college course that would be boring and not worth my time. I was wrong, and it was proven to me within the first few days of enrolling. The education I have received here (and continue to receive) is by far superior to any instructional or college classes I have taken in the past either online or off. The training is First Class and is presented in such a way that understanding comes easily even to those that have no formal computer training. People from all walks of life and with varied interests can participate within a community of like minded people from all over the World that share a similar philosophy of “Pay It Forward” in an “Open Education Environment” without any previous academic requirements. In this post I’d like to go over with you in detail the two courses that are offered as an Introduction to the Wealthy Affiliate platform in the form of a ‘Free Starter membership.’ The Wealthy Affiliate has been creating success stories since 2005, and the main reason for their continued success is that they always allow a free test drive without any cost or obligation. The Above Video was published on Youtube by KHuffman67 on May 11, 2017. 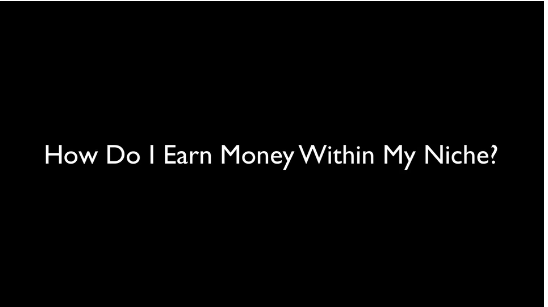 The Video suggests that the process to start making money online will only take about three months. Yes, that can be possible if you have funds to invest in promoting your website through paid ads. More realistically, I would suggest giving yourself at least one year just to be able to take everything in and be on the safe side. This whole ‘Make Money Online Is Easy’ is actually not as easy as everyone thinks especially if you are on a tight budget. Just getting Indexed and Ranked on the search engines can take as long as six months. [Full Disclosure: I, Nor Wealthy Affiliate offer false hopes or false promises. 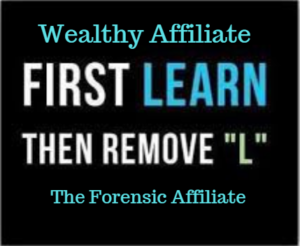 We ‘Learn By Doing’ (Faciendo Discimus) and here at Wealthy Affiliate we first ‘Learn’ and then remove the ‘L’]. My best advice is to give yourself lots of time and adhere to a budget that realistically will work for you. If you want to be a doctor…first you have learn how to become a doctor. If you want to be a Chef…first you have to learn how to become a Chef. If you want to be an Internet Success…well I think you get what I’m trying to get at. Once we’ve gone over the two 10 lesson free courses, we can go over the Benefits of Upgrading to Premium Membership. At this point you will probably still have some doubts and I will try to cover some of your concerns. We’ll finish off this post by trying to establish if this platform will be right for you and if it is, I’ll guide you on how to get started. I have prepared a Quick navigation ‘Table Of Contents’ that will help you through all of the material. 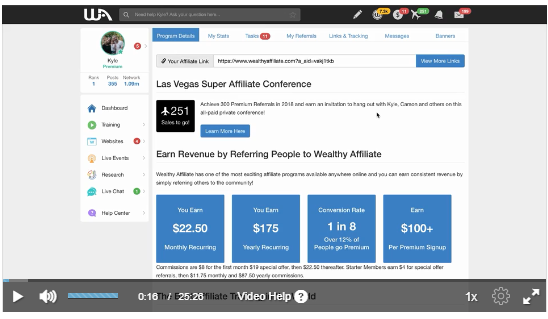 We’ll start by introducing The Wealthy Affiliate through a video posted by Ryan back in 2014. Cheers and I’ll see you below. This course is designed for those that have a ‘Niche’ or ‘Interest’ already in mind. This direction is for those that want to promote either their own products or services or the products and services of others (or both) – Affiliate Marketing. Level 1 of the 5 levels is available to Free Members. This 7 Phase, 70 Lesson Course has one of the most lucrative “recurring” affiliate program commissions ever heard of in the Industry. During the first phase of the training, you are going to get your business built on a solid foundation with a vision and a brand. This FREE course is 10 lessons and by the time you are finished, you are going to have your foundation for a long term and a very lucrative business online set out. Is Wealthy Affiliate Right For Me (You)? 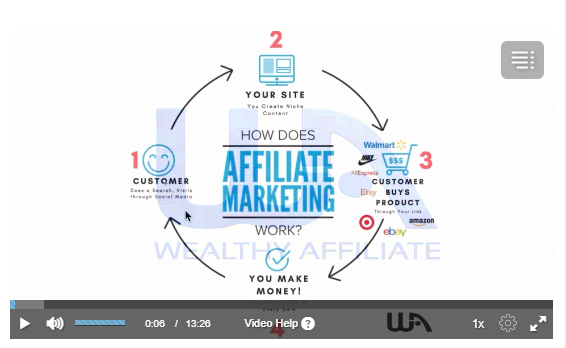 The video below (from 2014), although outdated is still one of the best and objective representations of Wealthy Affiliate that I have ever seen. Please take a minute to have a look. 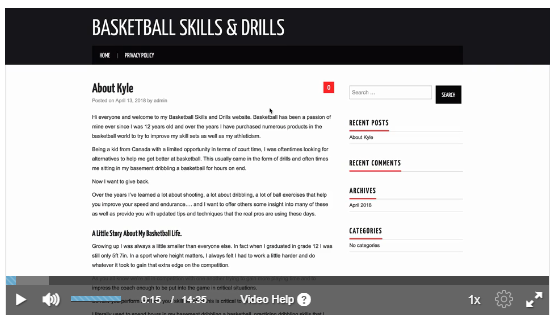 The Six Level free training that Ryan speaks of is now a a complete 10 Lesson Online Certification program. And yes, it is still FREE. In addition, Wealthy Affiliate has added a 10 lesson ‘Affiliate Bootcamp Training Module’ that has one of the most lucrative “recurring” commission structures in the Industry. This training is designed for those that do not have a Niche right away, but would like the opportunity to ‘Earn’ while they ‘Learn.’ And yes, this training is also completely free. Yes, it does work. The program here is not a ‘Get Rich Quick’ or ‘Push Button’ scheme so you will have to apply yourself but you can do it at a pace that best suits your needs. The first seven days (Free Step By Step Starter Membership) are critical to your success. The modules set the tone to establish if the program is right for you. As a Free Member (you can stay as Free Member for as long as you like), and you will have the option to go to advanced training if you feel that the program is right for you. The Online Certification Course is designed for those that have a ‘Niche’ or ‘Interest’ already in mind. This direction is for those that want to promote either their own products or services or the products and services of others (or both) through Affiliate Marketing. Level 1 of the 5 levels is available to Free Members. The Affiliate Boot Camp training is a 7 Phase, 70 Lesson Course that comes complete with one of the most lucrative “recurring” affiliate program commissions ever heard of in the Industry. During the first phase of the training, you are going to get your business built on a solid foundation with a vision and a brand. This FREE course is 10 lessons and by the time you are finished, you are going to have your foundation for a long term and very lucrative business online set out. Level 1 of The Wealthy Affiliate Boot Camp is also available to all Free Members. Below, I am going to outline in detail the lessons available to anyone thinking about getting started without any cost or obligation. Most of the Instruction given below will be in Video Format and originates from the Official Wealthy Affiliate Training Center. Click on image to go to lesson-1. Getting Rolling. Complete Task #3 – Understanding your membership. There are many ways to make money online. The problem is that people often get distracted by the “latest and greatest” product or service and they are never able to build a successful (and revenue generating) business that actually works. Complete Task #3 – Create (write down) your financial goals. Click on Image to view Lesson 3 – Choose a Niche. Ideally, when choosing a niche, you should be choosing something that is an interest, a passion, or maybe even a hobby. This is not necessarily carved in stone. It can also be something that you would like to learn about. You don’t need to BE an expert, to BECOME an expert in any chosen field. If you cannot come up with a Niche, you are covered. 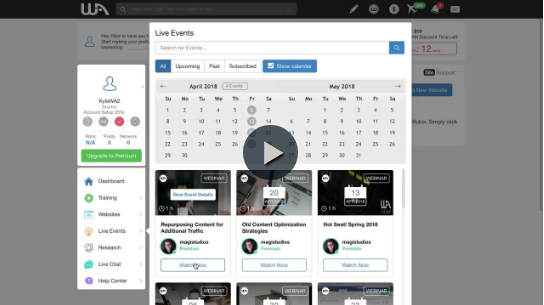 The program will divert you to ‘Affiliate Boot Camp’ where you will learn to successfully promote the Wealthy Affiliate Platform which can lead to making ongoing recurring commissions. If you’re new to affiliate marketing, finding your passion and choosing your niche can be challenging at first. Very few people arrive here knowing exactly what they want to write about. That is why Affiliate Boot Camp is a great alternative to get your feet wet before diving right in. There are lots of other people in the same boat you are in – you can learn from each other within the Community. See The Wealthy Affiliate Boot Camp Details Further Below On This Page. 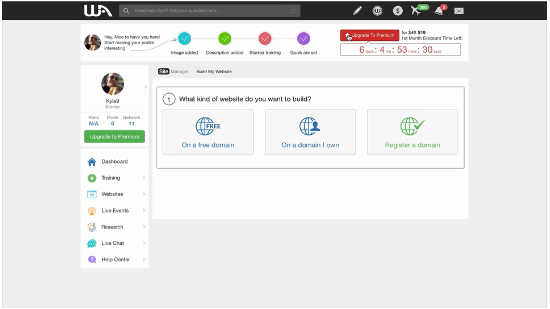 Click on image to view lesson 4 – Building Your Own Niche Website. Complete Task #5 – Choose a design. Click on image to view lesson 5 – Setting up your website. Complete Task #3 – Delete Default Posts, Pages and Comments. You now have a live website that is set-up and ready to go. This is your own Internet “real estate.” You will use this website to connect with your niche and ultimately earn revenue through. This website is your foundation for building a successful online business. Click on image to view the lesson – Getting Your Site Ready for Search Engines. Set-up All In One SEO (Search Engine Optimization) on your site. Your website is now set-up for SEO. As you build out new pages and posts for your site, they will automatically be optimized for Google and other search engines. 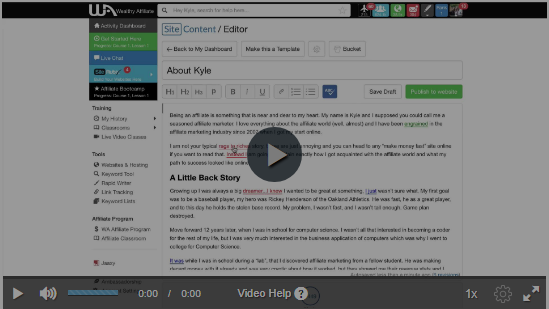 Click on image to view Lesson 7 – Creating Your Initial Website Content. If you can build out your website in a way that is ready for SEO (as discussed in the last lesson) and create quality, relevant content, you will have a bright journey ahead of you within the online world. The thing that most people get stressed about is being a “writer.” You DO NOT have to be a writer to be successful online. You just need to communicate and engage in your very own natural way just like writing an email or a letter to a friend. Never let your fear of writing get in your way! 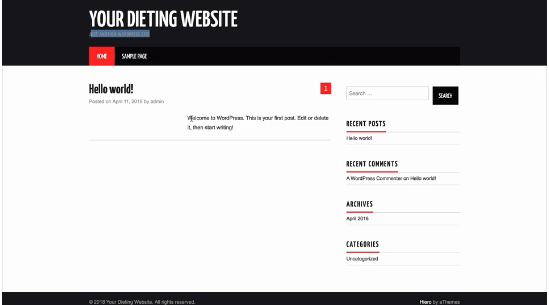 Complete Task #1 – Create a Custom Menu for your website. Your foundation has been built and you are ready to take your ‘Niche’ Website business to the next level. Learned the foundation that is going to help lead you to SUCCESS. Subscribing to my site is voluntary and without obligation. As you might be aware, I do not use pop-ups or “FREE” how to “E-Books” to get your name and email. Although these methods work, I believe that these techniques are slowly becoming outdated and the use of pop-ups will slowly disappear and be replaced with something else because more and more people are using their mobile phones to access the Internet. Pop-Ups are not Mobile Friendly (thank goodness). That, plus the fact that that I find pop-ups to simply just be annoying and from experience, the ‘Free Stuff’ that I have received in the past from numerous sites that I wanted to learn from really has had very little or no value at all. The only thing I give away for FREE to get your interest is what I promote wholeheartedly…The Wealthy Affiliate University Open Education Platform Starter Membership. Subscribe to The Forensic Affiliate to receive free Periodicals and Newsletters. Unsubscribe at any time. Click on image to be taken to my Join Page for more details on how to get started. Go To Course Two Table Of Contents – Affiliate Bootcamp. Click on image to view Boot Camp Lesson 1 – Getting Started. Complete Task #3 – Officially Join The Affiliate Boot Camp. Back To Table Of Contents Bootcamp. There are actually many different directions you can head with your Bootcamp site. Wealthy Affiliate is a service that encompasses many different industries and verticals and you can quite easily promote it to many different types of people. One thing you need to understand is that the minute you start building out your website, you are building a brand. You are working to become a SOURCE of information online and through time and effort, you are going to become an industry expert. Stay At Home Moms & Dads – These are people looking to either earn some extra money to supplement their existing income or create a new full-time income from home. Minimum Wage Workers – These are people that are very often very talented but are stuck in a rut. They are tired of living paycheck to paycheck and Wealthy Affiliate can definitely show them how to build a solid business foundation and start getting paid what they are worth. College Students – The majority of College and University students today are drowning in debt. Students can definitely benefit from this program and learn how to make the money they need to become debt free. 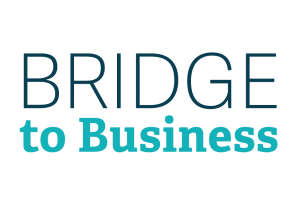 Current Online Business Owners – Many business owners are not seeing the results that they would like to see with their online business. The training at Wealthy Affiliate can help them to put together the missing pieces of the puzzle at a very affordable business expense rate. Retired (or Semi-Retired) Folks – Like me for example. 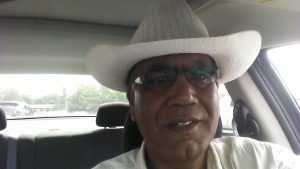 I know that my Old Age Pension & Social Security is not going to be enough to provide for my final years. Actually I believe that this whole Social Security/Pension Plans arrangement is a cleverly designed Ponzi Scheme that is coming to its end. I know that I can benefit indefinitely from this amazing Wealthy Affiliate Community. People On Disability – Again, much like me. We can never take our health for granted. Life will at some time throw you a ‘curve ball’ that you can’t hit out of the park. Education is a good Back Up for the ‘Fast Balls’ that will arrive at your plate when you are disabled for one reason or another. These are some demographic based audiences that we can target. These above ideas alone allow us to promote Wealthy Affiliate for a lifetime. click on image to view lesson 3- Building Your Website. Complete Task #3 – If there are any Updates available, Update. 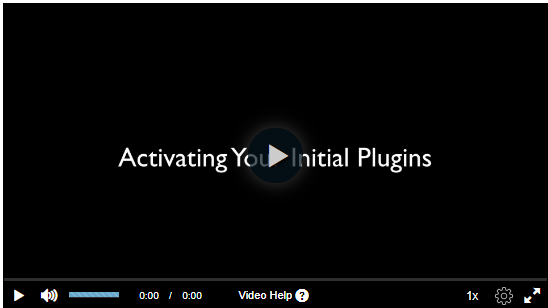 Click on image to view Lesson 5 – Activating Your Plugins. WordPress is the most widely used platform for managing websites in the world. This is because it is “open source”, which means that the general public can utilize the code. (Don’t worry, coding is not required. WordPress functions just like ‘Microsoft Word’). Over time, the team at Wealthy Affiliate have developed the most sophisticated and secure website platform in the industry. 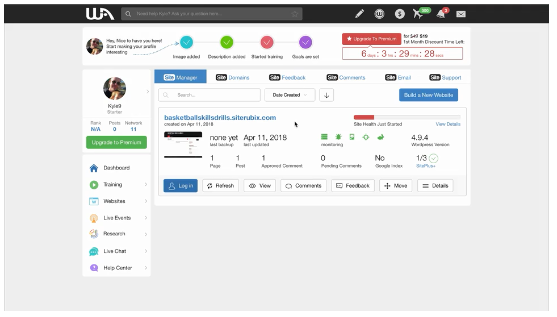 It uses Siterubix to leverage the WordPress framework. Plugins are feature enhancements that you can install on your website. There are over 49,000 different plugins available to Wealthy Affiliate Premium Members. Complete Task #1 – Activate Your Plugins. 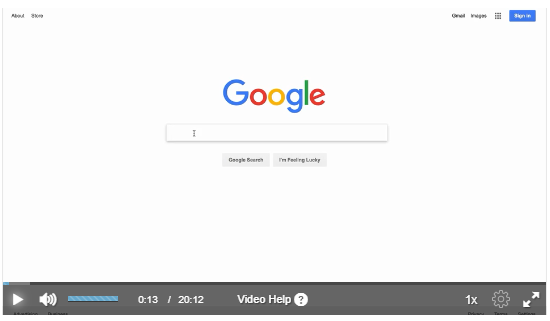 Click on image to view Lesson 6 – Getting Your Website Ready for SEO. Complete Task #1 – Set Up Your Website For SEO. 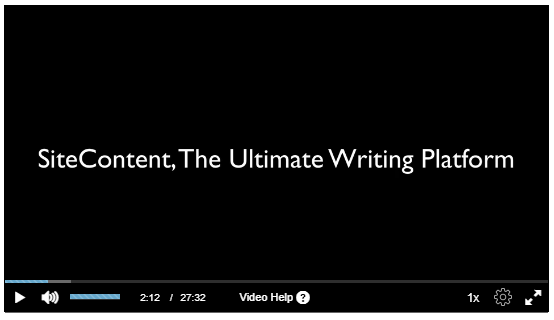 Click on image to view Lesson 7 – Your Initial Framework Of Content. 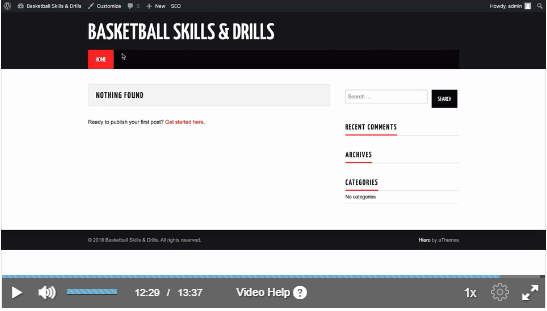 Complete Task #3 – Create a Menu. Click on image to view Lesson 8 – Understanding the Keyword Research Process. A Keyword is a word or a phrase that someone types into a search engine. As an affiliate marketer here with Wealthy Affiliate, you will become an expert with keyword research and the use of keywords. Complete Task #1 – Research and find 5 Keywords relating to your Niche. Click on image to view Lesson 9 – Creating Thoughtful, Insightful Reviews. As we all know, The Internet is the gateway to information. As an affiliate Marketer, this is where you are going to be delivering your reviews to a captive audience. When you learn to understand how to effectively create good reviews, you will be able to drive a lot of traffic to your online storefront, and effectively convert ‘prospective’ buyers into ‘actual’ buyers. Complete Task # 3 – Publish Your Review as a Post to Your Website. By the time you have gone through the first 9 lessons of Boot Camp training (which is easily done within a few days), you will have set out on a journey which has the underpinnings and structure set up for a long term and very successful business online. Whether you choose the FREE Certification Course or the FREE Affiliate Boot Camp Course, you will know 100% in just a few days for sure if this program is the right one for you. 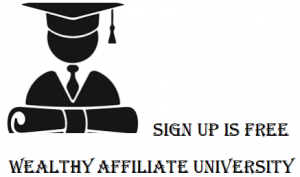 Wealthy Affiliate University is not only an Open Education Learning Platform, it is a Community that you can believe in. Benefits to Going Premium. They Are VAST. If you have been following along with the Certification and Boot Camp Course Previews offered above, then you know that it is time to get started and get interactive with the actual training and familiarize yourself with the community that will be an integral part of your long term success. After completing the FREE STARTER MEMBERSHIP, you will have the foundation of your business set-up and this is going to be instrumental to building out a long term and very successful business online. If you have not already signed up for The Free Starter Membership, you can do so by learning more here by clicking on the image below. If your intentions are in deed to build and have a successful online business, then you will know after only a few days that the Wealthy Affiliate Premium Membership is what will provide you with the road map to achieve your goals. There will always be a lot left to learn and that is the beauty of the platform here. It evolves and changes according to the times. Premium Membership is $49.00 per Month ($1.61 per day) or $359.00 per Year (98 cents per day). Paul, I’m Broke. I Can’t afford this. I hear this all the time and in fact, the saying in itself is a subconscious statement that will lead you to ‘Nowhere’ fast. So when people say, “I can’t afford it,” what they actually mean is that something else has a higher priority to them currently in their lives. 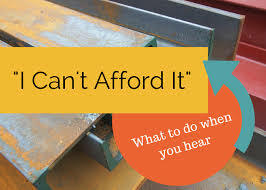 “I can’t afford it” is almost always synonymous with priorities rather than resources. It took me a long time to come to this particular realization. Decisions made about how we spend our time, money, and energy are rarely straightforward. 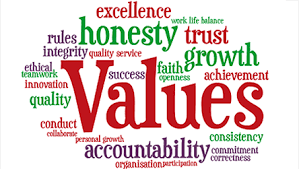 We take into account the monetary value of things, but we sometimes do not consider the consequences. In every decision we make, whether financial or otherwise, we are actually basing those decisions on what we can afford to do and what we can’t afford to do. In a straight forward way we are asking “do I have enough money in the bank?” I can afford it. “Not enough money in the bank?” I can’t afford it. Premium Membership here at Wealthy Affiliate is $49.00 per Month ($1.61 per day) or $359.00 per Year (98 cents per day). This is a True University Level Open Education Learning Program. I understand how hard it is for many of us out there that are living from paycheck to paycheck or not having work at all. By no means am I trying to minimize anyone’s particular situation in life. Sometimes though, we do not have our priorities in order which ultimately leads us to where we are at. Ask yourself, “Why am I here on Paul’s site?” Chances are that you are here to verify if Wealthy Affiliate is the way to go online. Paul Mindra says ‘Yes.’ Find the means to invest in yourself. If you are like me (close to retirement age) and have not planned properly, then you have to start planning. Social Security and Old Age Pension is not going to be enough. Premium Membership Is A Must. I have been here since early 2016 and during that time, I have interacted with thousands of fellow members and actually helped many out in the process. I believe that to be totally successful, all Starter Members should upgrade to Premium to take full advantage of what the courses offer. In the same breath though, some people believe that by upgrading to Premium, they are going to start generating a revenue right away. Some do, but they are an exception and not the rule. At the end of the day, you have to understand that you are creating and building a business which is a process and all processes worth executing take time. Back in 1984, I had a ‘Brick & Mortar’ restaurant business with my now ex-wife. Even though we were blessed with ‘cash flow’ right from day one, it was not until mid 1990 that we actually saw ‘Positive Cash Flow’ when eventually all the loans and debt were paid off. We sold the business in 1994 for a decent profit after our one and only child was born in 1993. The reason for our success was first and foremost, that we followed our budget and business plan. In simpler terms, we had our priorities in place and that meant we could not spend our operating budget on frivolous purchases. We worked our butts off and had some fun at the same time but it was always within our set out budget. 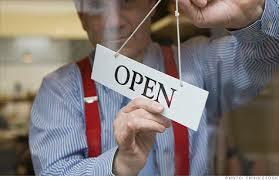 Starting a business online is totally different from starting and establishing a ‘Brick & Mortar’ address. First and foremost, the costs associated with establishing an online presence are next to none, especially here at Wealthy Affiliate because selling other people’s products is now quite easy. The hard work, dedication and perseverance required are the same whether you are online or off. As I said earlier on this page, The Wealthy Affiliate University Open Education Platform is not a ‘Get Rich Quick’ push button technique or scheme. All the time and hard work you are going to put into building out your dreams may not bear fruit until months or even years later. Understand this fact. If you are not comfortable with that reality, then do not go to Premium until you are. If you upgrade to Premium and throw in the towel a few months later because you did not budget or prioritize, or you did not get the results you expected immediately, then you cannot rejoin as a Free Member at a time later on. Going Premium is a long-term commitment and I always suggest taking the Yearly Membership as soon as you can simply for the savings. Building a Real Business that gives honest returns based on your effort takes time. You have to try to understand and look at this as an investment in yourself. Less than $400 per year for lifelong education is a very small price to pay if in fact you want to educate yourself in an area that is not going to go away far too soon. Back To Upgrading To Premium Membership. Click on image to see Top 10 Website Builders. You will need a website. Not just any ‘cookie-cutter website,’ but a personalized ‘Authority Website’ like this one. One that you have complete control over. Think of your website as the ‘Storefront’ for your business. 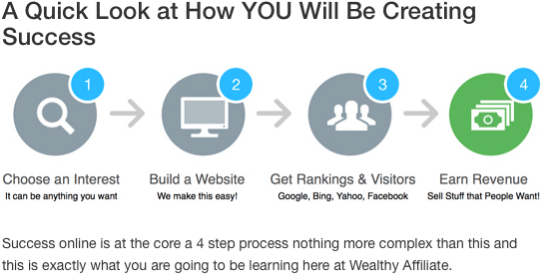 Building the structure of your very own website is made simple within the Wealthy Affiliate Platform. 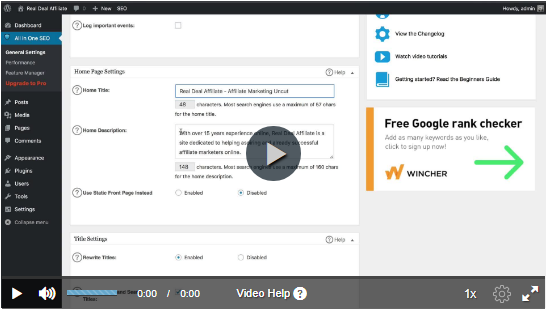 Building out effective content is a little bit more difficult but made much easier with the step-by-step training received here at Wealthy Affiliate University. You will need to use proven strategies to build traffic to your website. People are your business. Without people, you have nobody to sell or advertise to. Once you learn all that you need to know and more about the most current traffic techniques and how you can get relevant customers to your website, you will also learn that your revenue sources become unlimited. Once you have traffic, you need to ‘make money’ from this traffic. This eventually becomes the fun part. Without spending a dime, you can promote all the top brands in the World through affiliate programs. But you cannot do this this without your storefront, meaning your website. Just like you, at one point, I too was scouring the Internet looking for options. I wanted and needed the one that was most cost effective and effective in its workings. Yes, I found Wealthy Affiliate. You need to Earn Revenue. This is done by providing people with what they want or need. Do as I did before taking the plunge with anything online. Ask yourself some questions. Can I try this product or service completely for FREE as advertised or do I have to give them payment information? If they ask for payment information for something advertised as FREE, it raises a Yellow Flag for me. 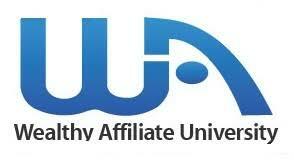 The Free Membership at Wealthy Affiliate does not require Credit Card or payment Information. See for yourself here. Is this product or service designed for beginners, intermediates, advanced, or all three? If it is designed for all three, then I know that I can continue to learn and the price of the education is invested in me. Wealthy Affiliate specializes for those that are new but also caters to the most advanced. Is the company offering the product or service reputable? I have nothing against ‘start-ups’ but feel more comfortable with a company with history. Wealthy Affiliate has been building success stories since 2005. Does this opportunity provide all the things that I might need under one roof? This for me was a critical question. Wealthy Affiliate does in fact provide everything that I need to succeed all under one roof with zero up sells. Can I start this business for little or no money down and how much will it cost me over the long haul? This, too was a very important question for me because over and over again, I was getting burned with online offers elsewhere. The average cost of a Domain that I own with hosting included is about $14.00 per year. I can have up to 25 domains hosted here at Wealthy Affiliate as I grow forward. Plus I have 25 FREE ‘Siterubix’ websites that I can offer to local businesses that would be more than happy to pay me $20.00 per month just to be listed online and have a website on their business card. The possibilities are endless if you know what I mean. Continue reading below. You will be shocked or at least surprised to learn how many small businesses still do not have a website. Many small-business owners do things the old-school way when it comes to gaining customers: They rely on word of mouth. It’s still the No. 1 marketing source of growth in their eyes. A Redshift Research survey commissioned by web-hosting company GoDaddy reports that well over half of very small businesses have no websites or Facebook pages. Does this offer someone new to the Online Community like yourself an opportunity? I believe that it does. One of the first things I look at now prior to doing anything in my business affairs which has been learned through The Wealthy Affiliate Learning Platform is ‘Return On Investment.’ A $400.00 per year investment in myself at one point seemed like a lot. Actually, it never bothered me because I could compare it to courses costing $4,000.00 and more. How can investing $400 a year in yourself benefit you as A Wealthy Affiliate Premium member? There are two immediate ways that you can have your education paid for you. 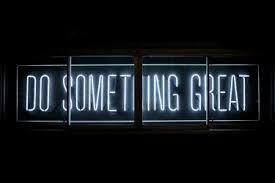 The first is through ‘Direct Referrals’ of those in your network (if you have one) or simply people that you know that are also interested in ‘breaking the shackles’ of the day to day grind. Three like minded people on a similar journey that you are undertaking is all that is required to make your Premium Membership free. 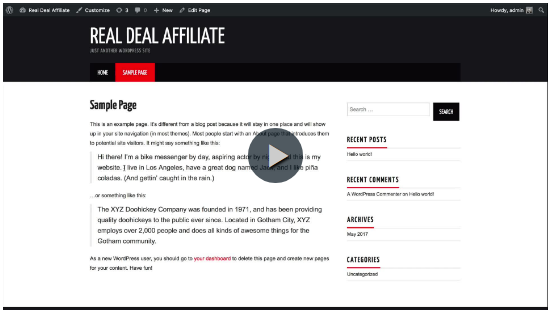 You can start promoting your affiliate link even as a Free Member and start earning right away. The second method requires a little bit more effort and you have to be a Premium Member to do this. Upon upgrading to Premium, you are given 25 ‘Siterubix’ websites complete with hosting to use as you wish. Think about what was said earlier about very small businesses not having a website or online presence. And it’s not just small businesses. 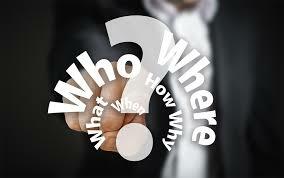 It could be people you know in the real estate business or insurance business for example. I use a hand full of these free sites for testing my work and progress here at Wealthy Affiliate. But that still leaves me with let’s say twenty sites at my disposal to generate income. I’m not seeking out people or a business that is looking for a flashy website complete with SEO (I can provide that also) but more so the simple businessman that has a business card and would love to have a website address on that business card. Let’s say you get 20 such clients and charge them a meager $10 per month for your service. I think that you are getting the picture. In business you have to think outside the box and use all the resources that are available to you. It’s no longer about ‘Can I afford ii?’ because that concept in itself becomes something else. But you still have to prioritize and you have to commit to your Wealthy Affiliate undertaking? Building a successful business online requires a lot of time, effort and work. Yes. I made the right decision. I have found Wealthy Affiliate to be everything they claimed and more. No, it is not a get rich quick scheme. You can make money here at any level that you want but only if you put in the work to make it happen. The first seven days are critical to your success here at Wealthy Affiliate. They set the tone and the pace for your success. The more you study the training the more you will want to learn. In your first seven days you will learn what a niche is. You will create your own website that belongs to you. You are given the tools to make your website truly remarkable and professional in appearance. You will have the opportunity depending upon your niche to begin making money almost right away. The purpose of this site is to bring to the forefront and emphasize the most important missing piece of the puzzle for new, aspiring, and even veteran internet entrepreneurs to be successful online: You have to have a storefront. You Must have the ability to build websites at will for everyone that wants one. Period. There are a lot of options available to you on The Internet but in my opinion and through my experience here, there isn’t a more comprehensive and technologically advanced platform in the Internet business industry than Wealthy Affiliate. It is also by far, the most cost efficient program that you will ever encounter. Ultimately you have do what makes sense to you. 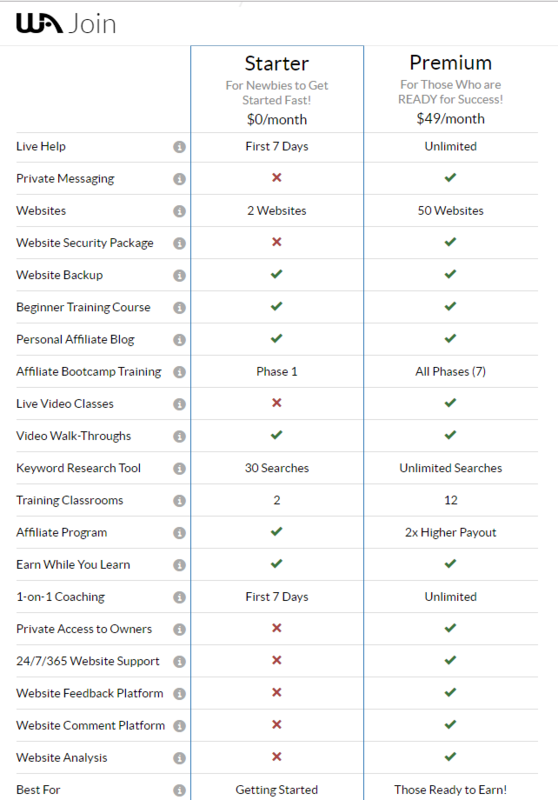 If you want to create a long term business online, the costs here at Wealthy Affiliate are very affordable. If you want stay on the Starter Membership for an extended period of time, that is up to you as well. So as you can see, for me, Wealthy Affiliate is a great Journey. I hope it will become the same for you. Let me know what your thoughts are by leaving them in the comments below. You can subscribe to this site and get updates too. Or you can simply take action right away and get started for free and create your own story. Click on image to learn how to get started for FREE. 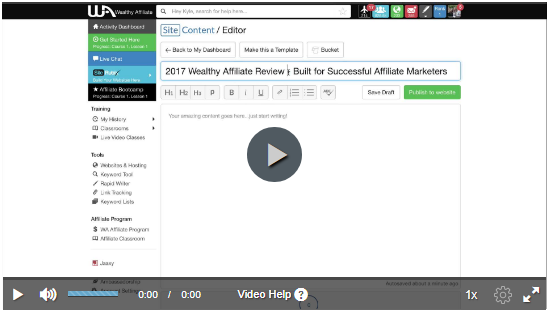 I hope that this Introduction to Wealthy Affiliate was helpful in your search online for a legitimate opportunity. Up Next: Wealthy Affiliate University – The Open Education Project. Return To Main Table Of Contents. I do things just a little bit differently than most Internet Marketers. …to get your contact information. If you want to receive any additional information or correspondence from me, you must volunteer, consent and request to receive it. Nor do I use FREE Gifts, outdated e-learning courses and useless ‘How To’ products to get in touch with you. The Only thing that I give away for FREE (and I am proud of doing so) is The Wealthy Affiliate Open Education Project for you to experience and take a test drive completely for FREE. I will never use any auto responder service to constantly barrage your inbox. There are currently over 3.4 Billion people using the Internet many of whom are looking for an honest and reliable Online Opportunity to make their lives better. I do not need them all and neither should you. One percent (.01) of 3.4 Billion would equate to 3 Million, Four Hundred Thousand people. You simply do not need ‘gimmicks’ to help them on their way. Please share your thoughts and leave comments below in the comments section.